Maybe you’ve seen this unique plant on a friend’s windowsill, or picked up a large bottle of the gel after a day at the beach. The aloe vera plant is easy to spot and well known for its ability to soothe burns. But this succulent has much more to offer than just sunburn relief! Aloe’s history stretches back to ancient Egypt, when pharaohs received it as a funeral gift. (They even used it when embalming their kings.) Famous beauties like Cleopatra were purported to have used aloe to improve their skin, and it continues to be used in folk medicine in Africa for conjunctivitis, asthma, and to eliminate sweat. If it was good enough for King Tut and Cleopatra, it’s worth a try! Aloe is native to Northern Africa and Spain.It’s also known as aloe barbadensis and Barbados. Although it may not look much like a graceful lily, the two species are related. An aloe vera plant requires ample sunlight and dry soil to thrive. While more than 500 varieties are known, only two are grown commercially. Growers are found in India, Pakistan, and China. The biggest producers are Thailand and Mexico. The aloe vera plant definitely takes its time– it takes three years before it’s fully mature. Aloe’s distinct characteristics are its thick waxy leaves, dull thorns, and the gooey gel found in the leaves. It has now cropped up in a wide range of products including drinks, first aid salves, beauty creams, and more. In fact, aloe production is now a $1.5 billion market. Read on to find out why this prickly plant is in such high demand. If you ever spent a bit too long outside on a sunny day, you may have used burn cream containing vera gel to soothe your irritated skin. You‘re in good company–even ancient warriors applied aloe to battle wounds! When you rub the clear gel on the affected area, it forms a natural seal, which protects the wound and acts as a barrier for dirt. Aloe vera gel is unusual because it can penetrate up to seven layers of the skin–much more than other creams or lotions. Since aloe can reach deeper into skin, it heals irritation and wounds faster, making it a must-have for your first aid kit. The aloe waters and juices you see in the grocery store use the green part of the leaf, which may help ease indigestion. This refreshing beverage is believed to help cleanse the digestive tract And if you suffer from irritable bowel syndrome (IBS), aloe could give you some relief: studies suggest it alleviates IBS symptoms like flatulence, cramping, constipation, and nausea. (x). Aloe is a popular ingredient in beauty products. Research suggests its natural antibacterial properties may help clear acne-prone skin, especially when used with other medications. Using aloe vera for acne is an inexpensive alternative to pricey acne medications. Aloe also has anti-aging effects: in one study, women who applied aloe topically showed increased collagen production, which reduces signs of aging like wrinkles, sagging, and discoloration. Aloe vera cream has been found to be effective in research when used to alleviate symptoms of psoriasis. Psoriasis is a skin condition and involves an irregular buildup of cells. In the study, people with psoriasis found relief from their rashes and noted significant improvements in the appearance of their skin after using aloe vera. Sick of spending money on costly conditioners? Try aloe—it’s a natural moisturizer and conditioner and can keep your hair shiny and soft. It also contains enzymes that relieve itchy, dry scalp. If you’d prefer to DIY, you can keep a potted aloe plant in your home. Simply cut off a leaf, slice it open, and scoop out the gel. You can apply it directly to your skin (and add some vitamin C powder to help naturally preserve it, and store it in the fridge). Aloe vera has not been widely studied, although there have been some smaller reports of its efficacy, which have found conflicting results. This may be due to the small number of participants involved. There does, however, appear to be quite a difference between using pure aloe vera gel and using an aloe vera lotion with only a small percentage of the herb– the purest form seems to have better results. Aloe vera gel is a natural antiseptic. Traditional Indian medicine uses aloe vera for a wide range of conditions. This herb may even lighten stretch marks! There are several varieties of aloe. One, aloe barbadensis, has a sweet, soapy smell; another, Aloe vera chinensis, sometimes smells faintly like onion; this is normal and doesn’t affect the plant’s benefits. Aloe vera, like all herbs, can have side effects. 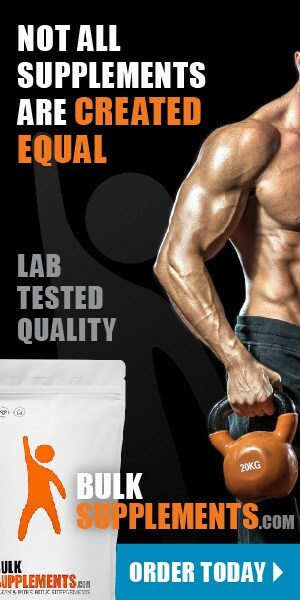 Be sure to check with your doctor before taking any supplements. Cramps or diarrhea may occur in some users when taking aloe vera in any form. It may also lower your blood glucose levels. Some people are allergic to aloe vera; test the gel on a small patch of skin before use. Aloe vera extract powder can easily be stirred into a glass of water for a tasty health boost. You only need a half teaspoon to reap its benefits. 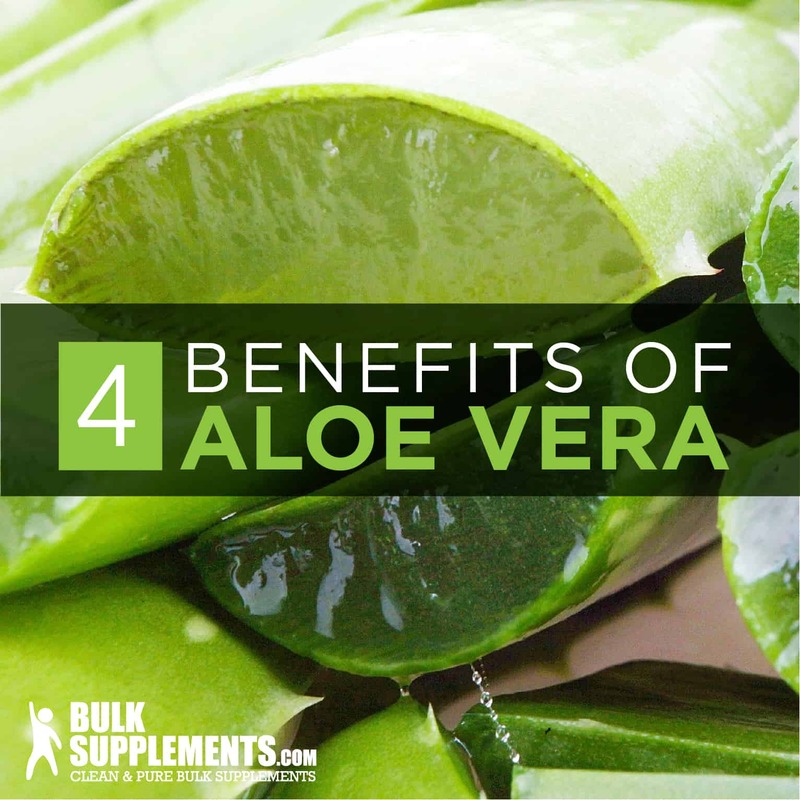 When aloe vera is taken as a powder or extract, it offers a variety of medicinal benefits. Although best known as a burn treatment, aloe vera can also clear up acne, strengthen your hair, and ease symptoms of indigestion.